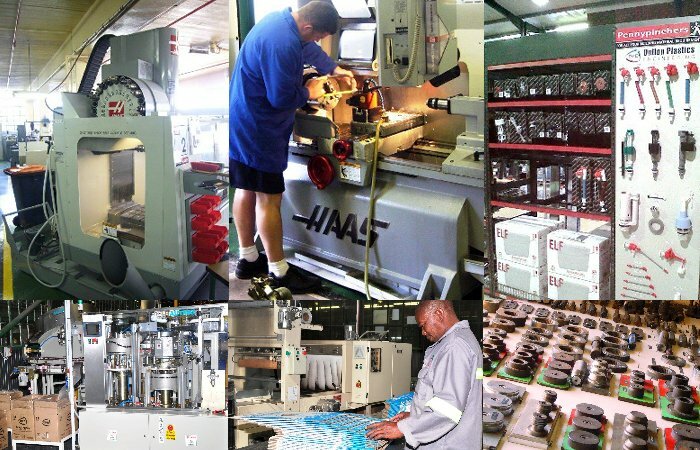 Dutton Plastics Engineering Head office and factory is situated south of Johannesburg in Alrode. This location is close to major freeways, container depots and O. R. Tambo International Airport. With a 12,000m2 factory and 280 staff, DPE strives to be the leader in quality plastic injection moulding. Dutton has kept up with technology, and has created a world-class facility that handles everything from research & development and design to manufacture and assembly of our products. Distribution in the greater Gauteng area is achieved with our own fleet of delivery vehicles. DPE realises that health and safety is an integral part of business conduct and have implemented a Health and Safety Management programme to improve productivity and align employee's values, attitudes and behaviours. Dutton Plastics Engineering has successfully acquired OHSAS18001 - an internationally recognised Health and Safety Management Standard. We at Dutton embrace the world class practices of Lean Manufacturing, and have begun the process by implementing the 5S method including Kaizen productivity improvement projects as an on-going tool for continuous improvement. This is a system used to reduce waste and optimise productivity through maintaining an orderly workplace and using visual cues to achieve more consistent operational results. The results of which are clearly evident in the operations and productivity of our factory. DPE's impressive design office and tool room is at the very heart of the business and is one of the best of its kind in South Africa. Any moulded plastic product is only as good as the mould that made it – and this is the reason that DPE puts such emphasis on its engineering expertise and state of the art, world class tool room facilities. Two full time product and tool designers work on sophisticated CAD systems, creating both product concepts and the associated designs for the moulds needed to realise them. All moulds are made in-house using conventional, CNC (Computer Numeric Controlled) and advanced CNC spark erosion machines. Dutton Plastics Engineering also has access to Rapid Prototyping and Development Technologies, which ensures that all new products or developments for both the Plumbing and Packaging Industry can be approved in 3 dimensional formats.